Even a small amount of makeup can make your bathroom or vanity look messy and cluttered. Or maybe you are in need of a glamorous way to display your favourite perfumes and nail polishes? Show off (and finally organise!) 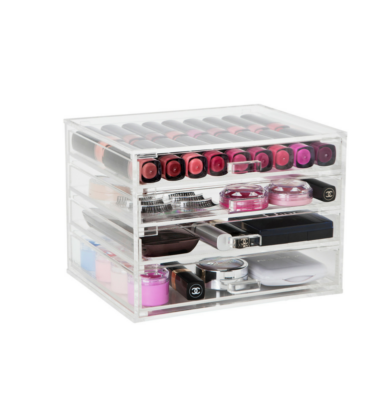 your beauty stash with Our Mirrored Crystal Trays which are the perfect solution! Store hand creams on your bedside table, store liner pencils, mascara, or brushes in the bathroom or your favourite candle on your coffee table, the possibilities are endless. Who knew a Mirrored Crystal Tray could be so useful? 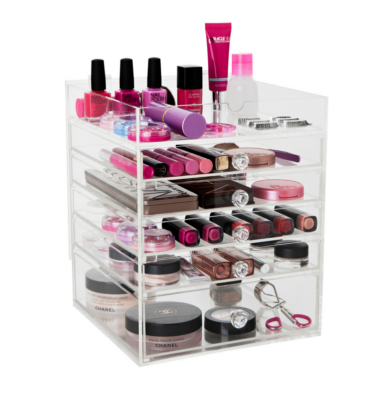 In need of a glamorous way to display your favourite perfumes and nail polishes? Our Mirrored Crystal Trays are the perfect solution! This item is even more lovely in person. I use it to display my perfumes and it makes them look even more luxurious! This Is just beautiful. Even better than I thought it would be. So glad I decided to buy it. My perfumes look awesome in it. Beautiful and excellent quality. Love it!! !